A popular Sydney family restaurant has banned iPads and iPhones, as well as colouring books, board games and building blocks from the table. 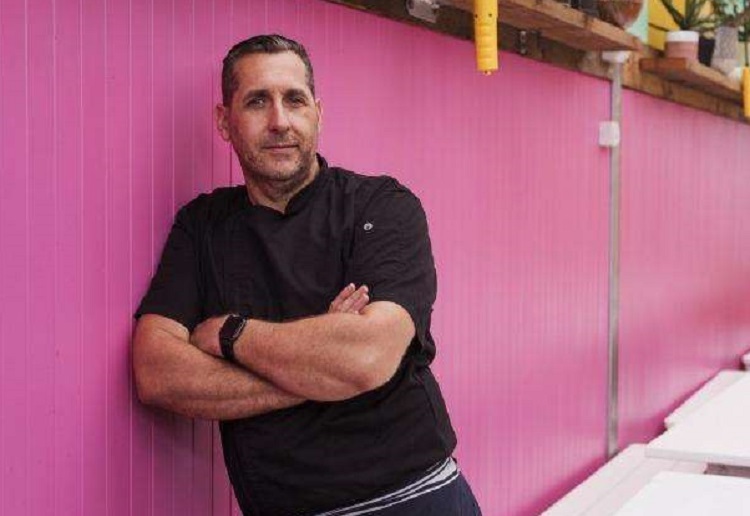 Pazar Food Collective, a Turkish-Mexican fusion restaurant in Canterbury, wants parents to “engage with their children” and for families to be “involved with the food and experience”. Pazar’s owner, Attila Yilmaz, took to social media after one family left a mess by drawing on napkins and the table. “It’s very upsetting to all of us, there was no, ‘Oh sorry about that’, the parents just laughed and said they’re just kids,” he told the Herald Sun. He adds, “Too often has been the case over recent years we are witnessing a disconnect with not only some (not all!) parents and their children when dining but also a disconnect with children and the food. As is often the case we see children of all ages , toddlers to teens, entering the restaurant, fixated to their devices before they are even seated. They have no interest in the food and are encouraged to sit, be quiet, immerse themselves in someone else’s imaginary gaming world. “There have been times when in our front dining room (seats 65 guests) has been illuminated by the glow of up to 12 devices. The children aren’t interested in the food and at times barely even eat (We also hate waste). “Activity back packs with colouring books, building blocks, board games and puzzles strewn across the tables before we can even offer a menu and at times a blanket on the floor under the table so the children have a place to play, nap or hide the McDonalds or Nando’s that the parents smuggled in. Do you agree with his opinion? I think it’s a fine of him to band those things. I think it’s important to try and teach kids to be patient or to have fun without things to do in front of them. I have 3 kids under 4 and it’s definitely a challenge to take them out to dinner, but it’s a good learning experience for them to sit at the table etc. I do understand how the wait can be quite long sometimes. In those cases I don’t think a bit of colouring would hurt. My son was never the colouring type, so wouldn’t help him anyway lol. We avoid restaurants as much as we can and try do take away at a playground instead. Much easier! I agree wholeheartedly with him – my children always behaved when we went out to a restaurant – it was a treat and if they didn’t behave they didn’t get that treat again for a long while. Why have children if you don’t engage with them and introduce them to different food and experiences including behaving themselves. I agree wholeheartedly with him. When we took our boys out for a meal the stipulation was they behaved and ate their meal. How would these parents like it if they went out for a meal to relax and enjoy themselves, having a child minder at home with their kids, and others let their kids run around and annoy them. I have no issue with these rules and I would dine there because of them. We now live in a world where there is no respect for rules or others. Often in the movies, I’ve witnessed people on their phones, flicking through their social media channels, and even taking phone calls. I think sadly, we have absolutely lowered the bar in terms of acceptable behaviour and manners. I do not think this owner is asking too much. If you took the time to just sit back and observe a dining area, I think you might be shocked by what you see. People don’t communicate with each other any more, or look someone in the eye, observe their surroundings, or even share a smile. I love that this man is fighting the fight for communication. I wish there were more like him. And if you don’t like those rules, you simply don’t dine there but choose somewhere else where you can disengage from your children. I can understand them being upset about kids drawing on the napkins, etc that’s disrespectful. But I think the whole phone thing is a little extreme. I mean I agree with engaging with each other. I hate hubby playing with his phone and ignoring me, but occasionally people might like to send sms messages or even look at content together while waiting and I don’t think people like being told what to do. Especially when they’ve paid good money. I think it all depends on how long the meals take to prepare, we recently took our 2 kids out no devices, but we asked for colouring which we used the colouring as a game because our meals seemed to take quite awhile and kids were becoming restless. I know a family who have 2 young children who always finish eating their small meals before the parents go and they tend to sit and talk for a few minutes too. The children are allowed to have their colouring books and pencils on the table when their dishes are removed by the staff, The children (including the 3 y.o.) know they are not allowed to leave the table and run around at all. wow i can understand banning devices, but colouring books, puzzles seems a bit much. I know he is trying to encourage engagement but asd kids, that can be difficult. With really young kids its also difficult trying to keep them still, quiet for the hour plus it takes to get a meal at a restaurant. I think once food has come out phones and devices get packed away. I give my daughter either my phone or get her to colour in while she waits for her food to be brought it. Otherwise she gets really restless. However being on your phone or device in front of people is highly rude. Especially at the table. Yes I agree with him, it is not an entertainment space, it is a dining experience, and I think he has the right to say what is acceptable, he does say he wants children and parents to engage and enjoy the food and if you are taking kids along who don’t enjoy the experience than maybe you should get a baby sitter before going out. Go to a place that has a indoor play area if it is a problem for you. He’s banning it from the table, and i agree with him! We have the same policy in this house. It is harsh banning everything however there are plenty of places to eat. If you don’t like it, then eat somewhere else? I’m on the fence. I too hate seeing kids attached to devices, but at least their parents are trying to keep them quiet. The restaurant can have rules and people will decide if it is for them. We do not use devices when out but every family is different. Colouring books and pencils are fine as long as parents monitor the use and of course tidy up and ensure nothing is left on the floor or table. It is about respect!